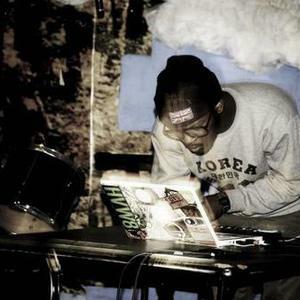 From Philadelphia young beatmaker Glen Booth has been bubbling beneath the surface in the virtual world and has quickly made it onto the playlists of global radiomixes. Recently featured on Detroit MC Invincible's ?Shapeshifters? (2008) and XLR8R magazine, he is a proven standout amongst the new wave beat generation. His captivating sound is a blend of true musicianship of great legends such as Miles Davis and hip-hop breakbeats all wrapped into one. Making his name via Myspace, global mixes spinning around the world and with a Mary Anne Hobbs mix & plays from Benji B already under his belt he stepped up to the plate in 2010 with his first solo release on All City ? Klouds. 15 tracks of varying rhythmic structures, lengths and speeds which go way further than mere beats and snippets. Sloppy, on beat and off its all thrown in the beat blender. He will also be appearing on our 12 inch collaboration series.